It’s the most wonderful time of the year! Election time South American style, where the polls are open, the outcomes are already decided and only the colors on the houses change. Evo Morales is running for an impressive third consecutive term as president. What is even more impressive is that Bolivia’s constitution only allows a president to run for two five-year terms. But since that constitution wasn’t put into place until after President Morales was already elected the first time, well, that first term doesn’t count. So as per the rules of the new constitution, Evo has really only been in office for one term, and thus he is now seeking his second term in office for the second time. Or if you count his first second term as a second first term, you can say he is seeking his second term in office for the first time after having served two consecutive first terms. Right, everybody clear on that? Any way you slice it, Evo will be elected to another term in office. The latest polls indicate that 59 percent of the people support his bid for re-re-election, while his closest rival Samuel Doria Medina has garnered 17 percent of the vote—make that is predicted to garner, as the election is not until October 12th, so clearly these are just polling numbers and not actual results. 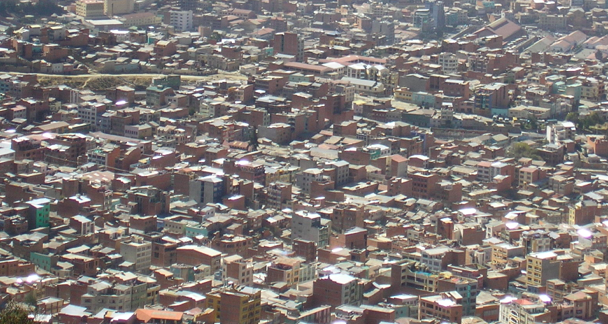 The real question is not whether Evo Morales will be re-elected: he will. And if anyone wants to bet against that, please email me and I’ll take that bet. The real question is what does it mean? In the history of Latin America post-colonialism there have only been three times when a seated president has ran for re-election and lost, twice in the 1830’s and most recently in the Dominican Republic when Rafael Hipólito Mejía Domínguez was voted out of office in 2004. Every other time an incumbent ran, he he or she won. Think about that; 26 countries, 180 years…and three leaders have been voted out. In Latin America, change does not come at the voting booth, change comes when the army knocks on your door. Historically Latin American politics have been dominated by the coup. Bolivia in fact holds the world record with over 150 coups or attempted coups since independence. 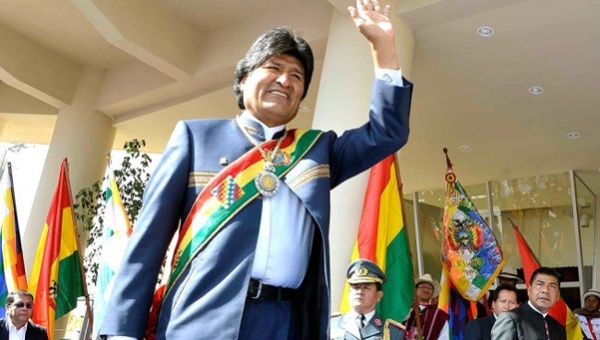 Even the great saint of Bolivia, champion of the indigenous cause, friend to the cocaleros, Evo Morales originally ascended to power after his predecessor Gonzalo Sanchez De Lozada was ousted in a coup. However these days, successful coups are becoming less common. Besides the Bolivian coup, the only other coup this century in South America was in Paraguay, and even that one was a bloodless coup. The coup is so twentieth century. South America has calmed down and people now seem satisfied with the elected officials. Or perhaps the leaders got smart and decided to hand pick successors in an attempt to create an image of democracy. In Argentina, Cristina Elisabet Fernández de Kirchner is completing her second term after taking over for her husband (can Michelle Obama take over for Barack please?). Brazil, Colombia, Venezuela and Cuba are, at the very least, governed by presidents who were handpicked by predecessors. Dictatorships are now run by parties rather than individuals. Most leaders understand that ruling from behind the curtain is much safer. However Evo seems slow to get the message. Perhaps the Tupac satellite wasn’t quite as effective as had been hoped in expanding internet coverage. Presidente Morales, we know you’re a big Se Mancha fan. So if you’re reading this, listen: Don’t run for reelection. Choose one of your trusted advisors or perhaps a celebrity to rule in your place. This way you can boast about how you respect the constitution and are a true man of democracy while still running the show. On Monday October 13, Evo Morales will stand on the Presidential Balcony holding a copy of that days El Pais or some other newspaper that the majority of the country can’t read and he will pronounce that the people have spoken and he is humbled to be their leader or something to that effect. But very little will change. He will talk about growth and development while blaming western meddling for any shortcomings that might have befallen Bolivia in his two first terms as president. The failure, however, is not his. The failure lies with a democratic system that is built on weak institutions and popular support. Evo as absolute leader has the ability to change that and make a real difference in Bolivia but it is more likely that he will continue to find loopholes in the constitution that will allow him to remain in power until one day he gets the knock at the door. I hope I’m wrong, but 180 years of history tell me otherwise.